Craigieburn Forest Park extends from the Waimakariri River to the Wilberforce River and contains braided rivers, beech valleys, tussock grasslands, alpine screes, and rugged mountain peaks over 2300m high. There are tracks and huts throughout the park but all the best day walks are concentrated in a small corner close to State Highway 73. Amenities here include picnic sites, a shelter, camping areas and the Environment Education Centre. 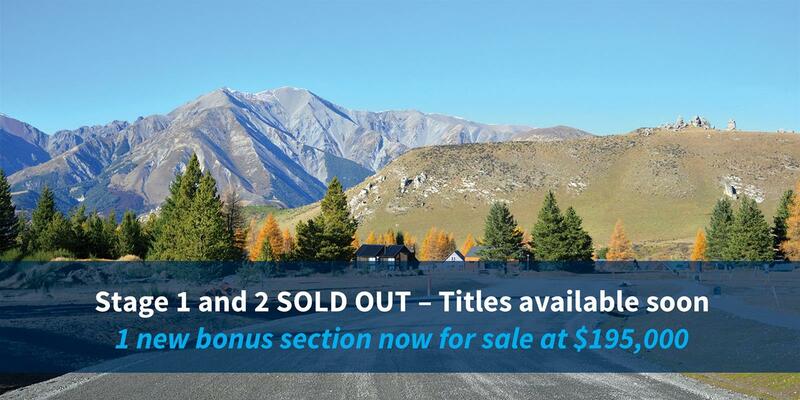 Two skifield roads give access up to the upper valley basins. A small separate part of the Forest Park is the area of beech forest, known as Thomas Bush, located behind Castle Hill Village. Korowai/Torlesse Tussocklands Park covers approximately 21,000 hectares centred on the Torlesse and Big Ben Ranges, in Canterbury’s high country. The Torlesse and Big Ben Ranges and the Torlesse Gap are features on the landscape from as far away as Christchurch and the Port Hills. Travellers on state highway 73 between Christchurch and the West Coast gain an increasingly panoramic view of the park as they approach Porters Pass. Korowai/Torlesse Tussocklands Park is a key site for the promotion and protection of eastern South Island high country landscapes and ecosystems. The Cave Stream Scenic Reserve sits among spectacular limestone outcrops, with views of the Craigieburn and Torlesse Ranges. A 362 metre long cave within the reserve is one of the most outstanding natural features in the Canterbury region. The open country is ideal for picnicking and gentle short walks. John and Charles Enys were early runholders of Castle Hill having bought the station in partnership with Edward Curry off the Porter Brothers in 1864. Although not as well known as his older brother John, Charles Enys was a talented watercolour painter and painted many pictures of their homestead 'Trelissick' (sited near the present day Castle Hill Village) and the surrounding area. A collection of about 60 of his paintings is currently housed in the Australian National Library (ANL)in Canberra. Castle Hill Basin is located in the Canterbury high country at an altitude of 700m approximately 90km northwest of Christchurch. It lies between the Torlesse and Craigieburn mountain ranges and is characterised by its distinctive limestone rock formations. These limestone rock formations are the water eroded remnants of limestone formed during the Oligocene age 30-40 million years ago when much of present day New Zealand was covered by the sea. It all starts with snow. Our continued investment in snowmaking, snow-fencing and grooming means we are ready when you are with more snow for you to play on than ever before! Porters learner facilities are outstanding. Our Sunkid carpet-lift makes progression for beginners so easy, and an easy link to our platter lift provides one of the best intermediate slopes for snowsports skill development in the country. With our brand new four seater chairlift and nice wide runs learning to ski has just become a lot easier. Cheeseman is a friendly ski area that promotes a fun, family environment in an alpine setting and is open to the public. We are the closest club ski area to Christchurch, being just 90 minutes drive or approximately 99km. The mountain has a sunny aspect with groomed runs and off-piste terrain that caters for all abilities. Our two T-bar lifts provide access to the whole mountain with a learners’ rope tow in our dedicated learners’ area. Broken River is one of NZ's unique "Club" fields, run and maintained by Broken River Ski Club members. We're open to the public. You don't need to be a member to be ski here, so don't be shy, we'd love to see you on our slopes. We are extremely proud of our Club, it's heritage and what our mountain offers. Our strong, close-knit community is as important as the great terrain and riding. So, if you are after something special and a little different then you've come to the right place! There are many slabs, vertical walls and slight overhangs (no big roofs). Holds range from very small edges through to pockets of various sizes and of course slopers of all hideousness. Overall the bouldering can be considered technical but, in many cases, very powerful. Expect to get those little used muscles exercised if you haven't bouldered there before. The landings are generally flat and grassy, but a crashmat is recomended for a lot of problems.